Snowtown serial killer Robert Joe Wagner has accused prison authorities of working against him in his bid to have a non-parole period fixed. Wagner, 47, asked the South Australian Supreme Court to consider his guilty pleas to three murders, his behaviour within jail and his relationship with his 21-year-old son when assessing his request. Since 1999, he has been serving 10 life sentences over the infamous "bodies-in-the-barrels" killing spree. The ringleader in the murders, John Justin Bunting, is similarly serving life without parole. Wagner appeared in person and represented himself when his application came before Justice Greg Parker on Monday. "I know asking for a non-parole period to be fixed may upset some people," he said. "But having a non-parole period will help with my mental wellbeing." Wagner also complained that his handwritten application had been released to the media, and threatened to withhold other documents if they were also passed on. He said prison authorities had barred he and Bunting from receiving external help. "Corrections will not let one of my visitors come in and see me and my co-accused because the visitor is trying to help us," he said. "Corrections will not allow me to have some of my mail." However, prosecutor Carmen Matteo urged Justice Parker to dismiss the application. "It would be inappropriate to fix such a period because of the gravity of the applicant's crimes and the circumstances which surrounded those crimes," she said. 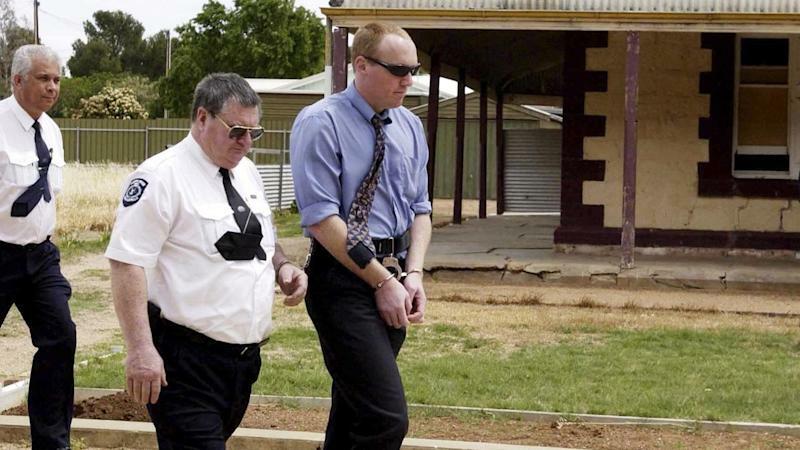 The serial killings were exposed in 1999 when police found eight dismembered bodies in acid-filled barrels in the vault of a disused bank at Snowtown, north of Adelaide. Two more bodies were found buried in a backyard at suburban Salisbury North, while detectives later linked two further deaths to Bunting and Wagner. After a trial lasting 170 days, Bunting was found guilty of 11 murders and Wagner, who pleaded guilty to three, was convicted of 10. Bunting and Wagner had claimed they were taking action against pedophiles, but also tortured their victims and accessed their bank accounts to drain them of welfare payments. Two other men, Mark Ray Haydon and James Spyridon Vlassakis, are also behind bars over the killings; Vlassakis after pleading guilty to four murders and Haydon for helping Wagner and Bunting dispose of the bodies. Justice Parker on Monday adjourned Wagner's application to return to court for further argument later this month.